With Microsoft Dynamics CRM 2016, Web API that was in Preview for CRM 2015 is now GA. Web API is really OData V4 which is the later version of OData V2 that was implemented in earlier versions of CRM until CRM 2015. With CRM 2016, OData V2 is deprecated, this means that though the legacy code written using OData V2 will continue to function, it is not advised to continue to develop using this version of OData starting CRM 2016. The earlier version of OData was strictly restricted to CRUD operations, how with Web API you can even perform operations that earlier required us to use SOAP requests. In the earlier post, it was all about executing FetchXML queries using Web API, well that was to some extent because I didn’t have much success querying and applying some very common queries. After spending some more time with WEB API and trying to get things done exclusively using OData V4, I did get quite a few things figured out. In this post, I am listing out some of the frequently used queries and how these could be generated using Web API. Under Developer Resources, you can now find the endpoint for Web API. Since field names have not been specified all the columns are listed. The entitycollection does not include Set Prefix anymore besides its using the logical name throughout. We need to use the $expand clause to request data of the related entity. However, it appears that the $expand clause only works when requesting data of a single record as shown in the below query. This will display only the subject of the related phone calls. Now if see the results here, the primary contact id only provides the Guid, not really helpful, and for currency data types, it again returns only the number, the currency is provided as transaction guid, so again formatted value missing. I haven’t figured it out how to pass these in the browser url, but here is the code I use to pass the header values. The lookup entity name, the guid and the record name. By default we only received the Guid of a lookup field, if we need the record name and the entity name, we need to include the preferences listed above. And we now also get the revenue formatted with the currency symbol and the date. N stands for the count of records to be returned. You also receive the paging cookie, which will allow you to request the next set of records. Use the nextlink url to the Web API to request the next set of data. It returns a fully qualified url with the query parameters set that can be used just as is. When you include the $count=true in your query, you get the total count of the records returned by the query in the query result. Note, if there are more than 5000 records that the query returns, the count here would still return 5000 only. The Web API query still has a few limitations and like the earlier OData V2, there are limitations on what kind of data can be queried. You can find the complete list here. In this post I have covered queries, in the later blogs hope to cover the other operations supported by WEB API. 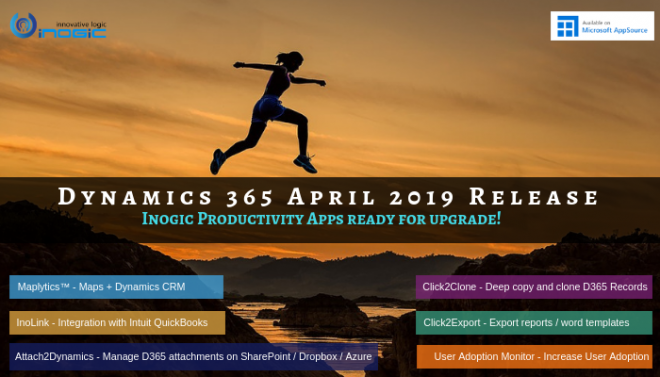 Make your Dynamics CRM life easy with Inogic Dynamics CRM Solutions. Read more about our add-ons here. I have fetched the value of a lookup field by getting its id and stored in a variable. Now, I wanted to use this variable in odata query using WEB API by mapping the lookup field with it in the filter condition. I am unable to map while giving in the query. Below is the piece of code. You can format your query given in below sample query pass your id as you pass for primary contact. Please let us know if it resolve your issue. Also can you please let us know what error you got.